Weilburger Graphics is set to showcase a range of new and already established products at this year’s interpack event in Germany. At the event, the company will showcase Senolith UV LED lacquers and Senoscreen UV range, in addition to its entire range of varnishes, inks and adhesives. Senolith UV LED lacquers have been developed for the offset and flexo printing applications, while the Senoscreen UV range is the new screen printing and effect lacquers. 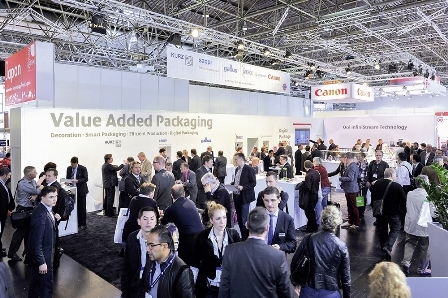 The water-based and over embossable Senosoft WB Matt coating, which were presented at interpack 2014, will also be previewed in this year’s event. These coating can be used in all substrate and surface applications of the graphic industry. Senoflex flexo scales and mixed colours will be presented, which will be used in the printing of corrugated boards. In addition, the solutions can be combined with the firm’s Senoflex protection and effect coatings for better results. The new formulations of Senoflex scale colours, as well as reproducible mixing options for Senoflex mixed colour series have been launched at the FachPack 2016. Last year, the company introduced new Senoflex inks and coatings, including Senoflex WB gloss coating that was developed for post-print flexo applications. Senoflex WB extender has been developed for applications where no varnish is applied but rub resistance above average is required, while Senoflex WB antiscuffin additive is designed for applications where high ink densities are required. With high concentrated color system, the firm’s mixing colors are suitable for food packaging applications. Image: Weilburger Graphics to showcase its extensive range of solutions at interpack 2017. Photo: courtesy of WEILBURGER Graphics GmbH.